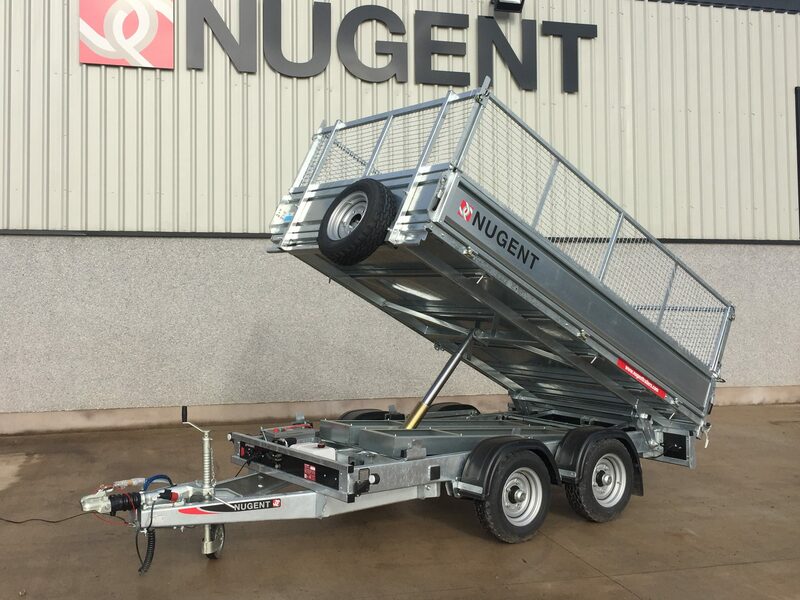 Nugent Tipper trailers are designed and manufactured for the demanding professional. With full type approval (ECWVTA), they’re manufactured with a strong fully welded and galvanised chassis, ensuring maximum strength and durability, load capacity, flexibility and safety. 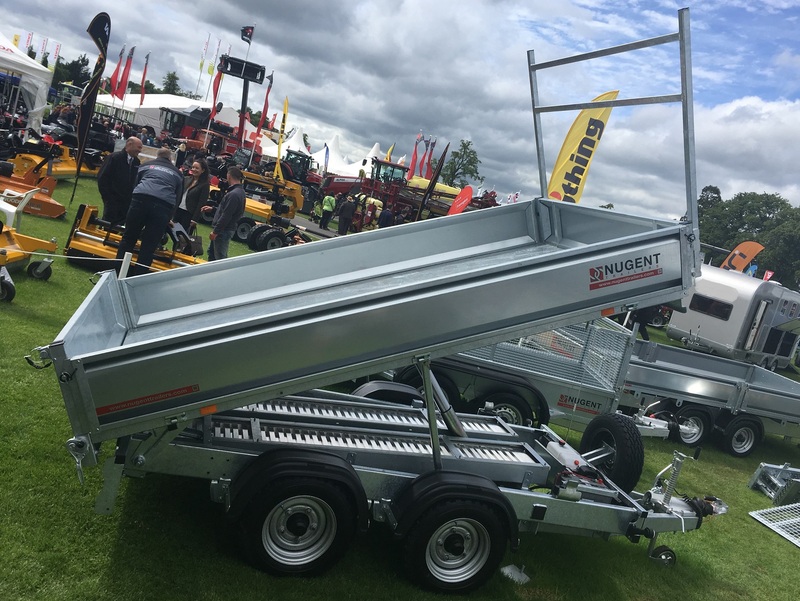 Innovative chassis design, combined with all round easy access, excellent tipping angle, drop sides and years of trailer design expertise have produced the perfect trailer for the building, landscaping and agricultural industries. 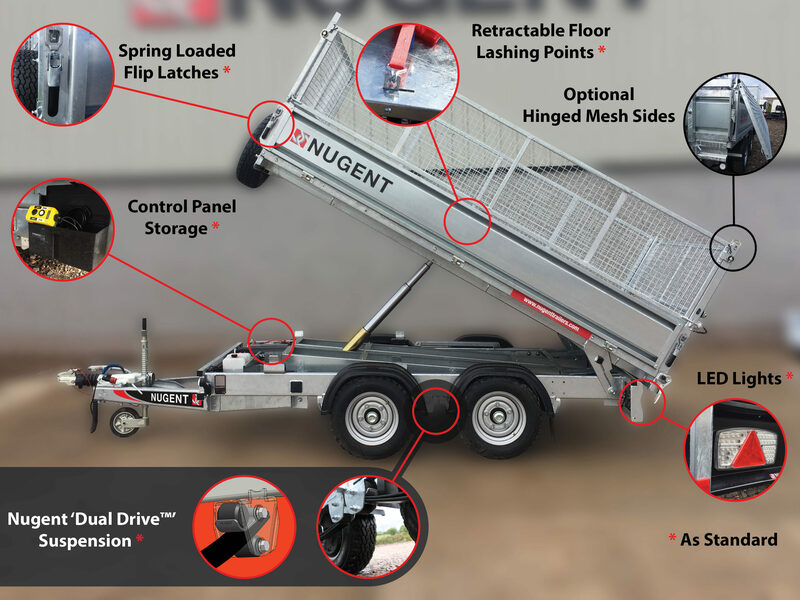 Nugent’s patented Dual Drive™ suspension is standard across the range, enhancing the towing experience and bringing trailer suspension to new levels. 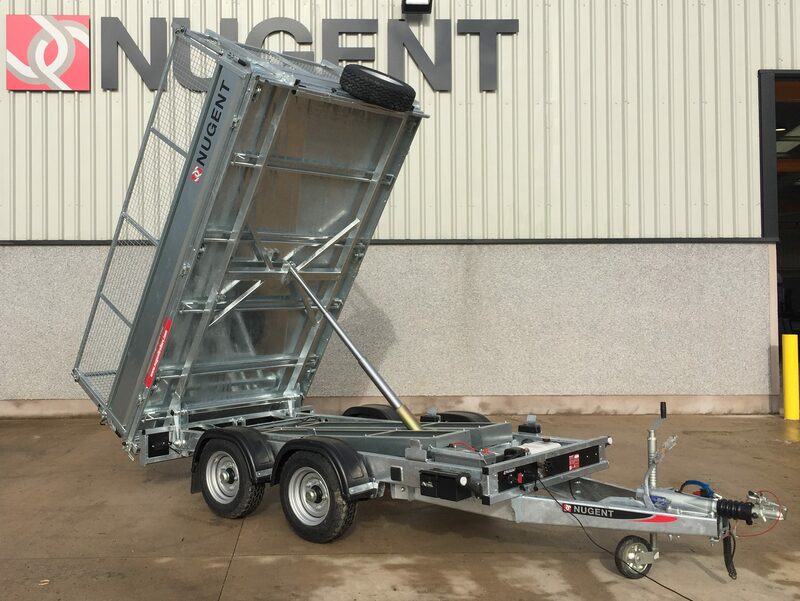 Nugent’s tradition of robust fabricated chassis design has further evolved with the introduction of new materials and innovative design features, combined with a policy of incorporating market leading components to ensure Nugent remains the professionals’ choice. 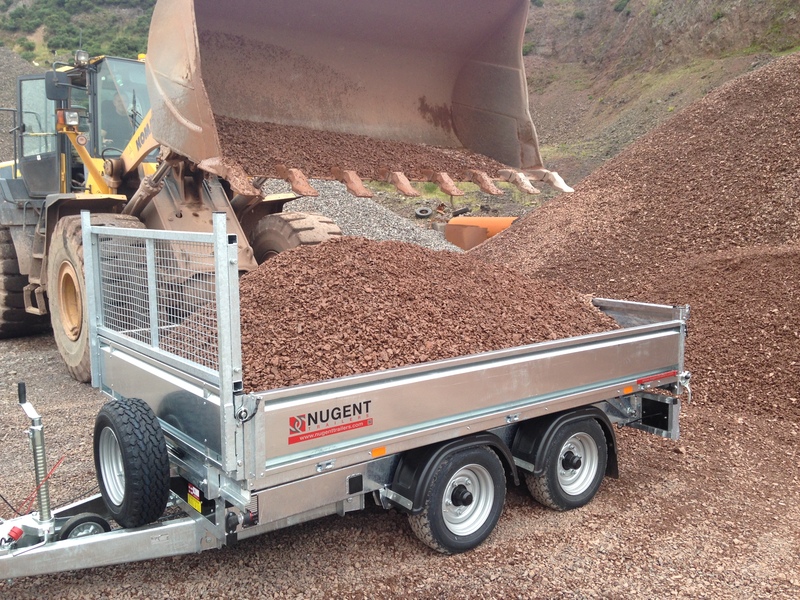 The Nugent Tipper range is available with maximum gross weight up to 3,500kg and sizes from 2.5 metres to 3.7 metres, guaranteeing a suitable model for every application. The standard design includes many desirable features and is complimented with a range of optional extras if further customisation is required. Integrated, retractable lashing points as standard, which are level with the floor, preventing debris build up. New spring loaded flip latches on all drop sides to prevent undue movement and noise. Hinged mesh sides, allowing access to the load without having to remove the mesh sides. 3.5T trailers have 185/70 R13 wheels as standard. 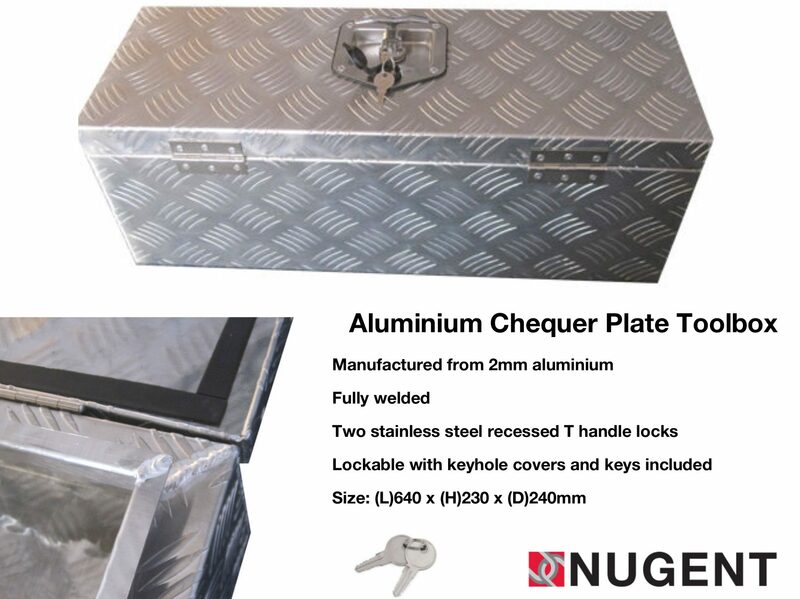 Large range of sizes and optional extras.